What stood here before. 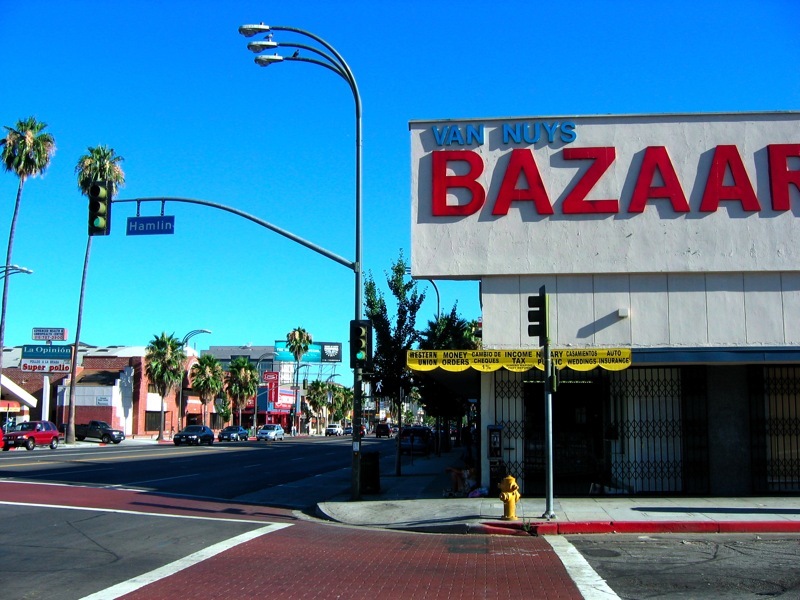 (7/12/06) photo by Here in Van Nuys. 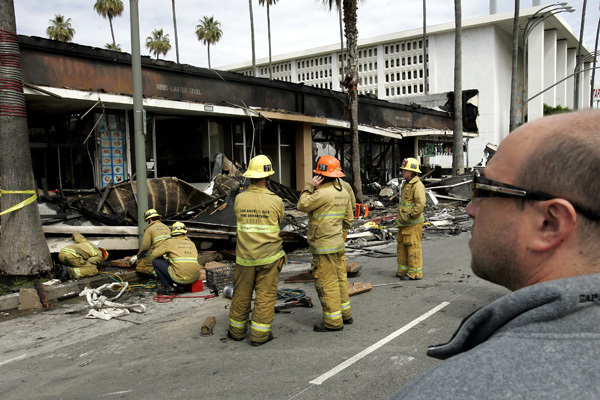 Flames turn five businesses into ruins on Van Nuys Boulevard – LA Daily News. Opened in 1931 as Henry Wilson Frigidaire. This is sad. Does anybody remember what business establishments were in that building back in the 50’s-60’s-70’s? I was racking my brain trying to recall, but I was so young when we left Van Nuys back in 1974 that I don’t remember.